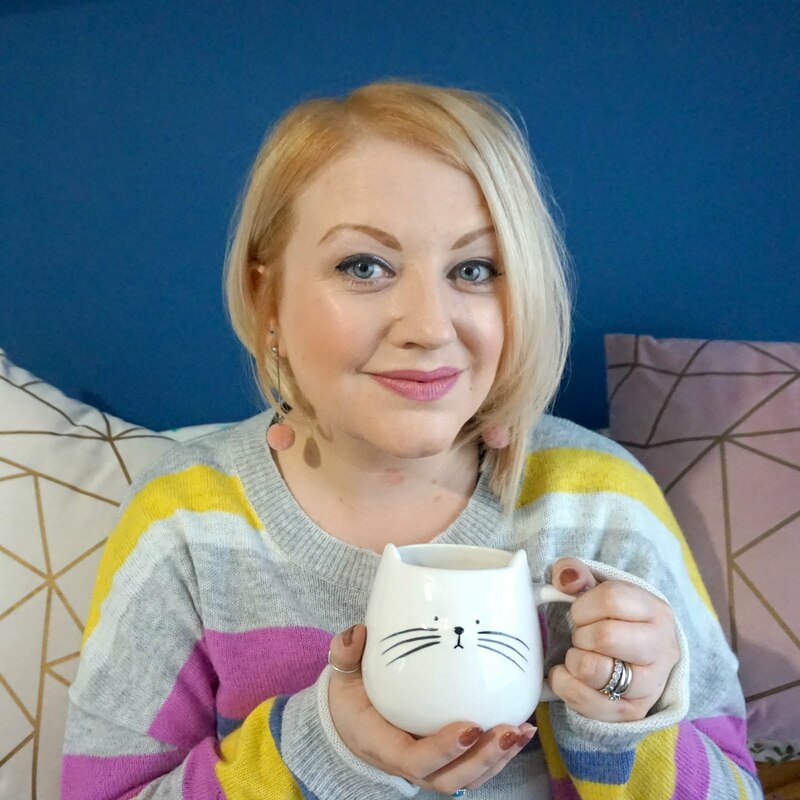 Even when we've completed a room makeover, I can't help but keep adding pieces here and there - you know, the finishing touches that can bring the whole look together. And thank you to Dandelion Interiors, I've done just that with some beautiful rustic style real wood serving trays. 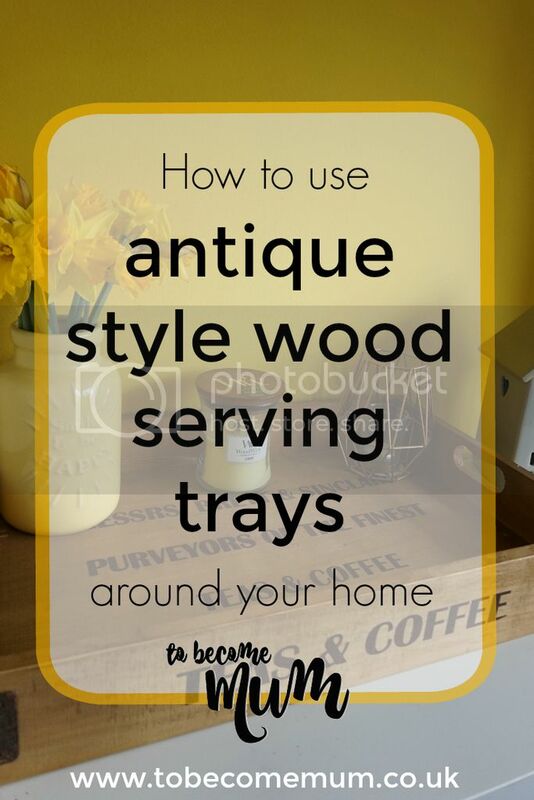 I picked out a set of three rustic style real wood serving trays from the eclectic selection of furniture, ornaments and other interior decor touches on offer, complete with old fashioned style writing on the side and base that makes them look like they're straight out of a shop from way back when. I love vintage style pieces and just fell in love with the solid wood and printed text on these trays. I just knew there would be a number of ways to make use of these and they happened to be on offer for around £61 for the trio. Still an investment of sorts, rather than just something bought in the spur of the moment, but as I discovered, they're solid and made to last and really versatile too. When I unpacked these (they arrived just a couple of days after ordering), I was immediately struck but the weight and finish of each tray. They felt substantial and the text on each one gave an authentic edge. So, what have I done with these? Of course they can be used as your standard serving trays and would work well if you have a country feel to your kitchen. But I've decided to use mine to create tabletop displays. In the dining room, I have used the largest tray as a centrepiece on our dining table. Ready to use if we go want to serve up tea, cake or nibbles to guests who come around, but also working as a feature in its own right with a case of flowers in the centre. Then in the lounge, atop our two smaller Kallax shelving units, I've used the trays to organise and display a few things, such as candles and vases. These items were already on display on the bookcases but the warm tone of the wood lent itself to the yellow theme of our lounge, where we have a tan vintage style winged armchair, clipboards used to display some prints on the wall and rust coloured letters with LED lights. It might sound like a mish-mash, but I think the textures and tones work well against the clean lines of the bookcase, blinds and sofa and the new trays create two interesting focal points in the created alcoves of the living room and tie the brown tones around the room together. You could also keep the three trays stacked together, one inside the other or at an angle, for an eye-catching display, and they'd be great at a makeshift coffee table / table top too. Oh, and as you can see, they make quite the comfy cat bed too...! I have a feeling that these may creep into a few Instagram shots and flat-lays in the future, as they look so lovely and provide a different kind of backdrop. What do you think of my new serving trays? How would you put these to use in your home? Oh wait, oh no... it's a Gruffalo! Do you need a break from parenting?